Egyptian Combed Cotton, Solid Percale, 500 TC. Available in 10 colors: Blanc, Caramel, Glace, Nacre, Opera, Pierre, Blush, Honey, Platine & Silver. Athena is featured with the Athena Coverlet, which is discontinued. Athena bedding blends traditional elegance with new fashioned style. It is the interplay of a white background against the graphic perfection of intersecting stripes. 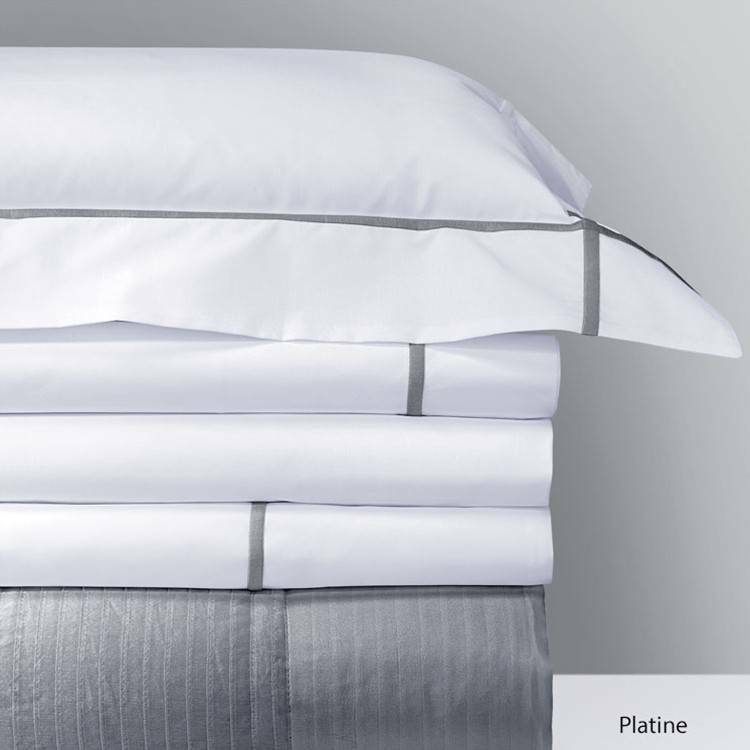 Classic white Egyptian combed cotton in 500 thread count percale features bourdon-stitched borders that extend vertically and horizontally for a modern, edge-of-the horizon look. These linens offer a perfect canvas for monograms, making them ideal for a wedding gift or trousseau. 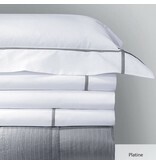 Luxury percale.